Crazier Eights is a card game that I developed that has a fantasy theme, uses colorful cards, has many interesting card abilities, and features excellent artwork. It is actually more of a game system and multiple versions of the game have already been made for my personal use. The game is loosely based on Crazy Eights, a game using regular playing cards. In Crazy Eights, players take turns discarding cards and the player who has zero cards in hand wins. UNO is based on Crazy Eights. What does Crazier Eights offer? 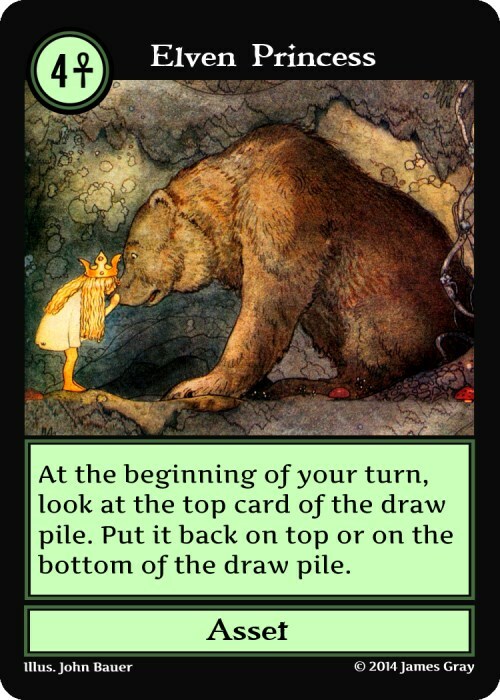 It offers cards with interesting effects and characters that can be part of a story. 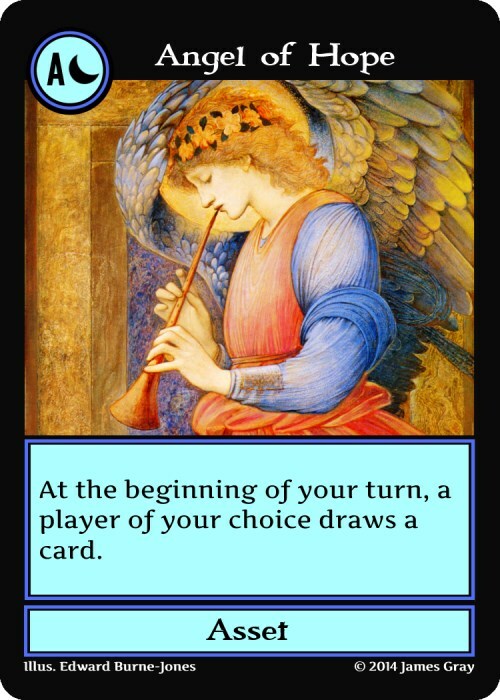 What the cards do is often related to what the cards represent. For example, dragons attack and destroy characters and castles, castles protect you, and so on. Crazier Eights offers a great deal of what other fantasy card games offer (such as Magic: the Gathering), but it is much easier to learn. You can learn the main rules of the game in three or four minutes, and all the main rules fit on a single rules card. I was inspired to make Crazier Eights because I wanted to be able to make my own card game with many interesting effects and abilities. I knew about many interesting characters, effects, and abilities because I am very familiar with Magic: the Gathering, which also has many interesting characters, effects, and abilities. 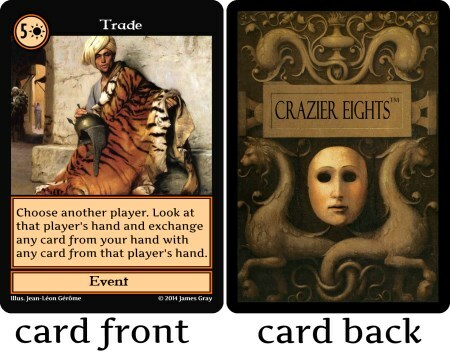 I also think Crazier Eights would be a good introduction to fantasy card games in general. 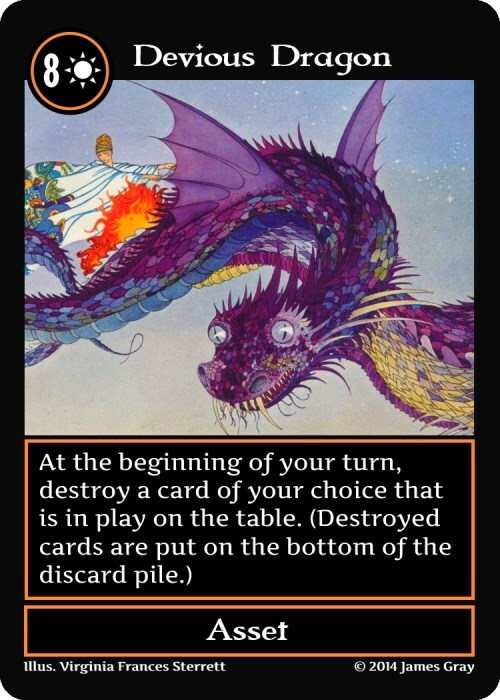 It is much easier to learn than the alternatives, and it still has many elements that other more complicated games have, such as permanents, destruction, triggered abilities, and replacement effects. Crazier Eights is a far superior game to Crazy Eights. There is much more strategy, many more interesting things can happen while playing the game, and the game offers much more of a story. 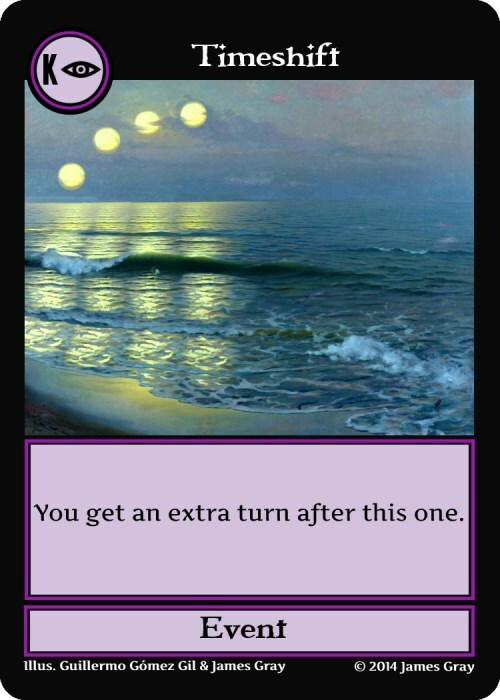 This entry was posted in crazier eights and tagged card game, fantasy. Bookmark the permalink. This seems really interesting. You’ve definitely grabbed my attention!